Do you have a self-imposed expiration date for your working life? When opportunities run out, what’s next? We have come to know entrepreneurship as people finding an opportunity in the business space by creating a product or service that solves a problem in a new way. But often times it comes from something bigger, and a little more basic: the entrepreneur just doesn’t fit the mold. How glass ceilings, expiration dates, lack of opportunity, and burn-out all fuel startups. Former agency owner, stress-junkie, autoimmune awareness vigilante Shawna is an entrepreneurial, imaginative leader with expertise in both creative and business management. As former co-founder and Executive Creative Director of a successful a creative marketing agency, Shawna has a proven track record of building businesses using a design-focused mindset. Her recent startup focuses on autoimmune disease awareness, remission and management tools.Her work has been seen and used by millions of people and cited by numerous press outlets, including AdAge, Fast Company, Adweek, Creativity and AdCritic, in addition to all the major industry award shows including Cannes Lions, The One Show, Addys, Communication Arts and Clios. I can’t wait to see my friend Shawna talk next week at Innovate Pasadena. The crowd gathered for Innovate Pasadena’s Friday coffee meetup. Matt Lumpkin giving a talk entitled “For Patients, by Patients: Pioneering a New Approach in Med-Tech Design”. Attending the Innovate Pasadena Friday Morning Coffee Meetup. Talk entitled “For Patients, by Patients: Pioneering a New Approach in Med-Tech Design“. Innovate Pasadena President Beth Kuchar interviews Chuck Chugumlung - Art Center alumnus, creative director and co-organizer of IP's Friday Coffee and Design X meetups. Hat tip Chuck Chugumlung. He’d mentioned this to me a while back, but glad to finally have some time to catch it. Chuck is definitely doing some interesting work both in and for Pasadena. Join us for the journey of CTO Barbara Bickham. She’ll take us from what first intrigued her about computers and entrepreneurship, her career choices and the chances she took along the way-- to becoming a CTO, leader of a Blockchain accelerator, and startup advisor. She’ll also share her vision of the tech horizon. Barbara Bickham, CTO with extensive experience in Technology and Entrepreneurship. Her current areas of expertise are in the Internet of Things, Blockchain, Augmented Reality and Artificial Intelligence. Attending the Innovate Pasadena Friday Coffee Meetup featuring the talk 5G in Pasadena. Do you want to pitch with confidence? Allison Monaghan McGuire will teach you acting skills to create a concise, compelling story that drives action. Whether you're seeking investment, closing a deal, or even negotiating a contract, this workshop will leave you with concrete steps to supercharge your pitch...and win. 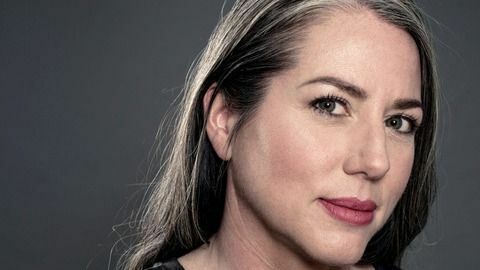 Serial entrepreneur and former award-winning actress, Pasadena-born Allison Monaghan McGuire parlayed her on-stage skills into real-life business presentations in the startup and corporate world. Learn the six critical steps to building, defending and perpetuating a successful global entity. The International Business Accelerator helps catapult product, service and tech companies into the global markets. With 60% women-owned businesses and cohorts in Long Beach, Silicon Beach, USC Marshall, Menlo Park and online, the IBA accelerates startups and high-growth companies into becoming successful multinationals. RSVPed Attending Innovate Pasadena, Friday Coffee Meetup: Changing the Conservation Conversation! Less than 1% of the earth’s water is potable and suitable for our survival. Today, we are using up those resources faster than they are naturally replenished. By the year 2050 we will see the world population grow by 50%. Compound that growth with increased standards of living and increased per capita usage and there is a disaster in the making. As agriculture and residential water consumers battle over water rights, residential consumers will win in the short term. Will they really win in the end? If we do nothing, our grandchildren will be faced with famine and lack of water on a global scale. Droughts like we are experiencing in the 9 western states give us a glimpse of what a future with limited potable water would be like. In a recent 5-year period, water prices increased 41%. Energy prices are rising at a similar rate. Fines for “bad behavior” are more common, but ineffective. The only way to truly solve this dilemma is to make water conservation second nature. What are the characteristics of such a solution? Can we access the solution on a personal level? Come to the Friday MeetUp at Cross Campus on 1/18/19 to learn what you can do to join the movement toward intelligent water and energy solutions. Kerry Austin-Dunkijacobs is a problem-solving visionary that creates solutions that are unique, simple to use, and provide uncompromising performance. A “conscious capitalist,” I listen to the spoken and unspoken needs of all the stakeholders that impact the products and companies that I envision and bring to life. By focusing on Disruptive Innovation that creates widespread product adoption and continued enthusiastic use by consumers, I envision products that are so effective and aesthetically pleasing that they become the standard by which competitive products are measured. My most recent product, the Epiphany!™ 1000 Digital Flow Optimizer, brings this philosophy to the Bath and Shower space. Saving a typical 50-60% in water and energy use, this device delivers Conservation without Compromise™, Benefits without Sacrifice™ and Savings without Effort™. Vision must be complemented by the ability to execute. The most critical component of execution is the ability to identify the right talent to move a project along from the earliest concept stages through product development and on to marketing, manufacturing, distribution and customer service. The team we assembled at Intelligent Green Products and Epiphany Shower US brings together a unique blend of product development, business development, marketing, and finance needed to create successful products in today’s rapidly evolving markets. Attending the weekly Friday Morning Coffee Meetup at Innovate Pasadena. Today: Harnessing Peer Power: The Company You Keep Drives Leadership, Strategy & Growth featuring Gail Schaper-Gordon, Ph.D., Vistage Chair, and Dave Revel, CEO of TechMD. I love the concept of what Dave is doing and it takes me back to my days running the theater at Johns Hopkins. Attending the Friday Morning Coffee Meetup. This week Space to Startup featuring Erin Beck. Fri, Nov 2, 2018, 8:15 AM at Cross Campus Pasadena Embark Ventures is a pre-seed and seed stage fund focused on “deep tech” - companies with proprietary and highly defensible technology that is a strong competitive barrier. Particularly interested in cyber-security, robotics, advanced manufacturing, materials, and bio/med tech but open to other opportunities that have a highly technical/proprietary core. We invest early (generally first institutional round) with check sizes between $250k and $1M typically. Most of our companies are pre-product, and our goal is to get them to first customer/revenue on our round of financing. Will discuss the Southern California eco-system for “deep tech” startups and bridging the gap between R&D and engineering Peter Lee is the Founding Managing Partner at Embark Ventures, a seed stage venture capital fund based in Los Angeles focused on “deep tech” companies in industries such as robotics, advanced manufacturing, and cybersecurity. Prior to entering venture capital, he was the VP of Product at a venture backed startup in the digital media space. Peter was a manager with McKinsey and also worked as a product manager at Microsoft. Peter earned his BS and MS at MIT, and an MBA from Harvard Business School. Jeff Keltner gave a great and entertaining talk this morning about some of his startup experiences after years at IBM and Google. Jeff Keltner began his career at IBM. After 3 uneventful years, he moved to Google to help launch the Google Apps (now GSuite) business. After running the Education team for 4 years and growing the business to 70% market share, he transitioned to help launch the Chromebook product line and drove the go-to-market strategy. But 6 years and 2 major launches were at Google was enough. Following this 6-year stint helping launch new businesses at Google, he joined other Xooglers to help launch Upstart the first lending platform to leverage artificial intelligence and machine learning to price credit and automate the borrowing process. He is now leading Powered by Upstart, Upstart’s new white label offering for banks. The transition from employee to intrapreneur to entrepreneur may seem daunting - but it’s easier than you think. Come hear about Jeff’s story and the lessons you can take away from his experiences. Jeff joined Upstart after spending 6 years at Google. He launched and built the Google Apps for Education business, growing market share from zero to almost 70% in its first four years. Jeff spearheaded marketing efforts for Google Apps in Global 2000 accounts and led sales, business development, and go-to-market strategy for the launch of Chrome devices in the education and enterprise sectors. He spent several years in direct sales at IBM, always exceeding quota, and was a founding engineer and led UI developer at SSB Technologies. Jeff holds a BS in Computer Systems Engineering from Stanford University.